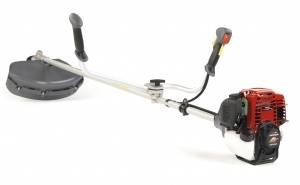 A brilliant petrol brushcutter complete with a hedge trimmer attachment for superb value & flexible working. 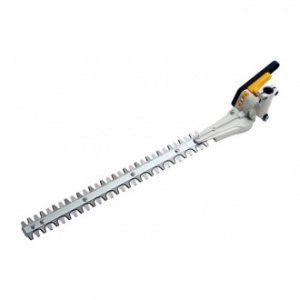 Supplied in this package is Honda's impressive UMK 435 LE 4-stroke brushcutter, plus an attachment to allow it to function as a long-reach hedge trimmer. 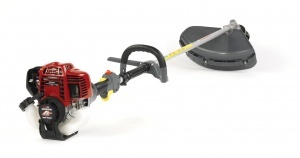 Powered by a commercial-quality 35cc GX35T OHC Honda engine, this machine is a loop-handled, 4-stroke brushcutter that won't let you down. Its unique six-splined drive shaft gives it strength, while increasing torque and power delivery. 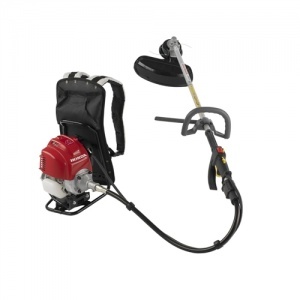 It is perfect for work in tough conditions, designed to handle dusty and dirty environments without an issue. The transmission is heavy-duty and shock-resistant, with the whole machine backed up by Honda's renowned warranty (5 years domestic, 1 year commercial). 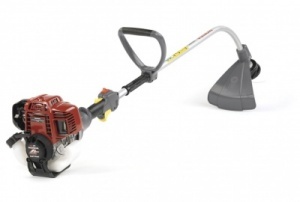 Not only do you get Honda's popular petrol brushcutter, but also a robust, double-sided hedge trimmer attachment, so that you can work on both keeping areas of grass in check, and also hard-to-reach hedges. 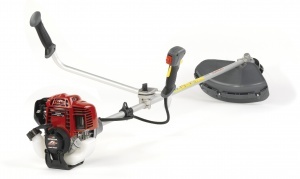 The brushcutter comes with a Tap N Go nylon line head, ideal for light grass trimming, and a three-tooth metal blade for heavier sections. You can renew the nylon line simply by tapping the head on the ground and without the need to stop the engine. 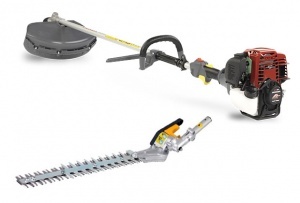 Giving you another tool in your gardening arsenal, this pack includes the hedge trimmer attachment that can cut both ways courtesy of its double-sided design. The blades are protected by an anti-snapping guard, and can be rotated from -90˚ to +90˚. Because this is a long-reach tool, you can access even some of the most difficult areas of your garden with this kit. With its easy-starting, lightweight and compact engine, the UMK 435 LE is a real pleasure to work with. Its extremely light flywheel and quiet, smooth-running 4-stroke engine also boasts the lowest emissions on the market. To spare your arms and hands from the effects of intense vibrations, there is also an anti-vibration clutch on this machine. Safety is borne in mind too, courtesy of a leg guard and quick release hook. Thanks to the 4-stroke engine, you also don't have the hassle of having to mix the fuel and oil together, for easier operation. 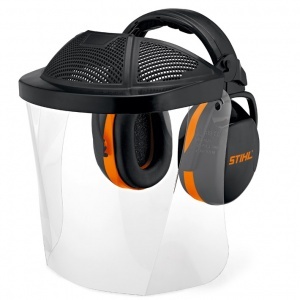 A soft padded head strap and ear defenders make this set comfortable to wear, while still being adjustable and providing protection against noise up to 110 dB(A).